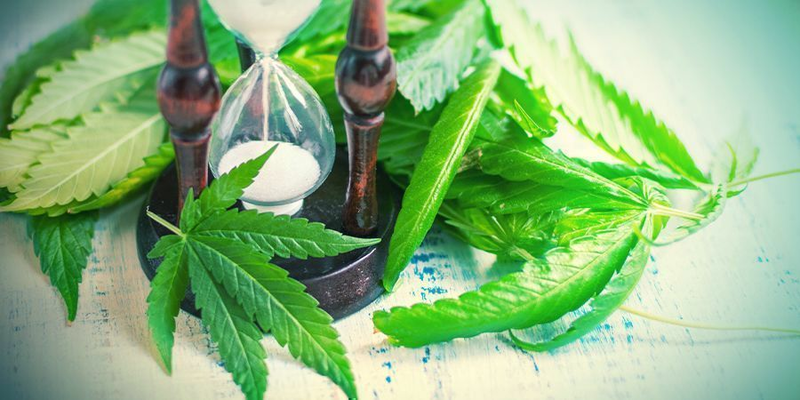 Vegetative growth need not be a lengthy phase with the SOG method. In fact, the high speed of a SOG crop is contingent upon a brief vegetative growth cycle. 1-2 weeks when working with clones or autoflowering strains is about the average. 3-4 weeks will be necessary if you are starting with photoperiod feminized seeds. Large numbers of small cannabis plants, rather than large, well-developed specimens is the objective. Smaller pots/containers will be required to fill the grow area floor space. Many growers will sow the crop directly into 5-11l containers. Alternatively, some will root cuttings or seedlings in a rooting cube for 10 days and then pot up just once. There is no time for trimming or transplanting. Curtailing the vegetative stage cycle is crucial. All cannabis strains stretch to varying degrees during the bloom phase. In order to ensure a more compact, low-profile SOG, cannabis plants need to transition to the bloom phase before they get too big. It’s common for SOG growers to switch to 12/12 bloom with photoperiod strains as soon as they are just 15-20cm tall. Setting up a SOG is not quite the same as a conventional grow with 2-4 plants in large containers per m². The smaller the pots, the more plants you can pack in the grow-op. A typical SOG grow might consist of 8-16+ plants in small pots per m². The SOG method lends itself to grow spaces of all sizes, from micro-grows to large, multi-lamp grow rooms. Light positioning and reflection are all important when setting up a SOG. Most growers will use a large reflector if using HID, positioning the lamp a little higher than usual to spread the light evenly. As plants will be vegged for just a few weeks, a little extra stretch is likely during bloom. Remember, the goal is an even canopy of small plants with big main colas. Watering by hand might be too time-consuming with many plants. Automatic watering systems are a worthwhile investment. Airflow will need to be spot on, too. Preventing high humidity for closely-situated plants becomes a priority later in flowering. Clip-on and/or wall-mounted fans are a good option if all the floor space is filled with pots. Carbon filters are a must if you decide to grow SOG style. More marijuana means more odour. A high-quality air filtration system, including intake and exhaust fans connected via ducting to a carbon filter will provide peace of mind and help keep the SOG private. To effectively use the SOG method, you don’t necessarily need a large grow space, but you absolutely must grow female cannabis plants only. If you are growing regular seeds, it is highly recommended to find a winning female mother plant first. The majority of growers who prefer the SOG method will repeatedly crop cuttings from a reliable, productive mother plant. Clones are the best option for a SOG with photoperiod strains. A uniform crop can be difficult to achieve with multiple strains grown from seed. Even feminized seeds from the same pack can express different phenotypes. Clones make it easier to maintain the SOG, and reduce the chances of nasty surprises. That being said, feminized autoflowering strains are perhaps the most suitable kind of cannabis to cultivate SOG style. Due to their short lifecycle, autos rarely exceed 1m in height and can be successfully grown in a SOG from seed. 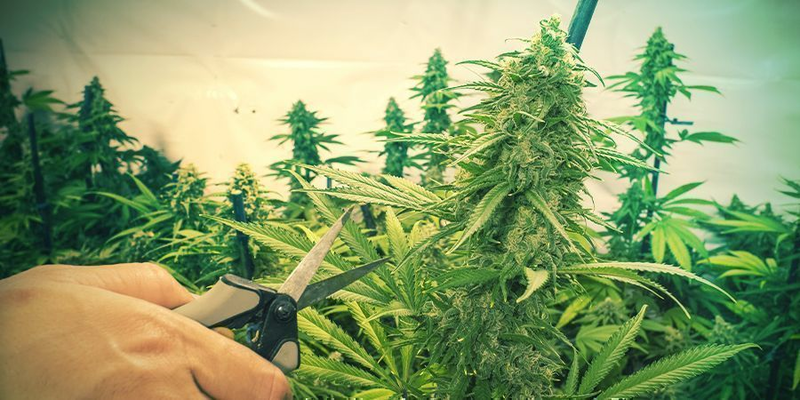 The SOG method has two huge advantages over other growing styles; high-production and high-speed are an impressive combination. If you want to get the maximum yield in the minimum time from your grow-op, SOG is pretty hard to beat. However, the most overlooked advantage of the SOG method is its versatility. You can SOG in a wardrobe and upscale the same system to SOG a whole warehouse. No method is perfect for every kind of grower. For those that need to keep plant numbers low in the grow room, either for practical or legal reasons, SOG is probably not for you. Moreover, a beginner grower shouldn’t dive in the deep end right away and start a SOG for their first crop. It’s better to gain some conventional growing experience before taking the SOG plunge. 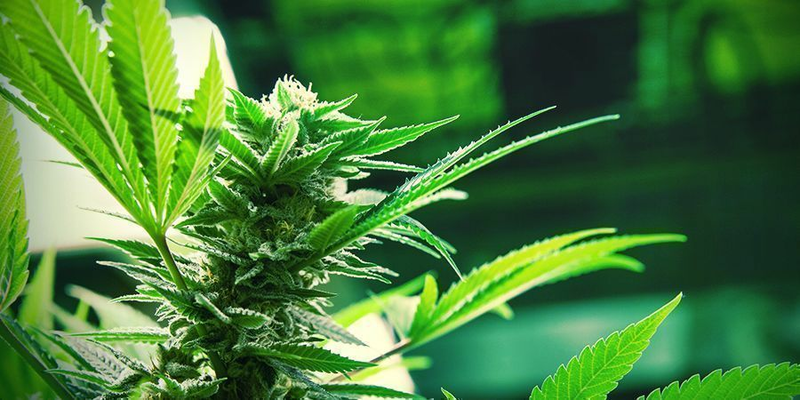 Sativas and some hybrid strains will grow far taller than indica and autoflowering cannabis. So make sure to switch to 12/12 at the right time. 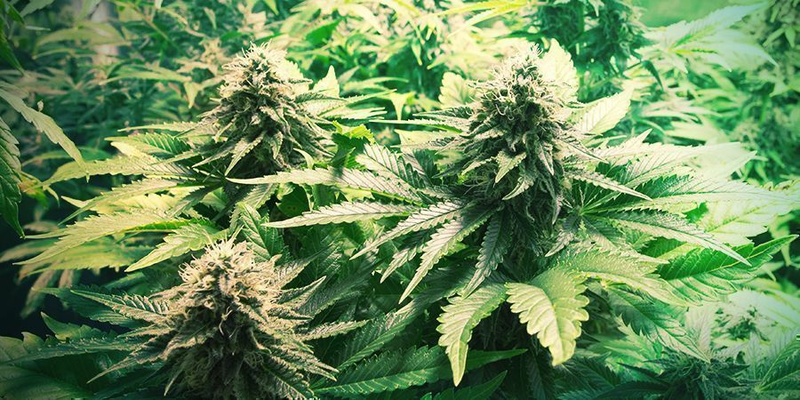 You must factor in that sativa-dominant marijuana can triple its height during the bloom phase. In a SOG, space is at a premium, so you can’t grow great big ganja trees. If you want to SOG head stash, just 7-10 days of vegetative growth might be plenty for most Haze strains. You must also factor in that the plants are growing in small pots, and the bloom phase will be longer with sativas. Tall, square containers with plenty of room for roots to grow deep are best suited to the SOG method. Round pots and containers that are too wide in circumference are unsuitable. Some defoliation and pruning may be necessary if fan leaves begin to shade flowers. This allows all plant energy to be focussed on main cola development. Removing lower stems that won’t receive much light early on will improve airflow and reduce popcorn buds. Having a second grow area to house a mother plant is a worthwhile investment if you plan on using the SOG method long-term. Keeping a rotation of rooted cuttings and mature flowering plants is even more efficient.